The Indiana Pacers start every game in their series with the Miami Heat strong. They lead for most of the way, but somehow it keeps slipping away from them, or at least it has in games 2 and 3. Because LeBron James and Dwyane Wade are good, because the trio of Roy Hibbert, Paul George and Lance Stephenson aren’t good enough, and for other reasons people love making fun of an creating memes for. The Pacers still can get home court advantage back. One win against a team they’ve led against for plenty of minutes in this series, including all 48 of the first game, and the tide turns. But somehow, there’s a feeling that creeps about what the differences between these teams are. Coaching not at the same level and when it comes to the point of needing individuals to step up, the Heat have someone to count on, unlike the Pacers. Roy Hibbert is good for a quarter or a bit more, but can’t keep up the same kind of production for a whole game, especially when the fouls add up. 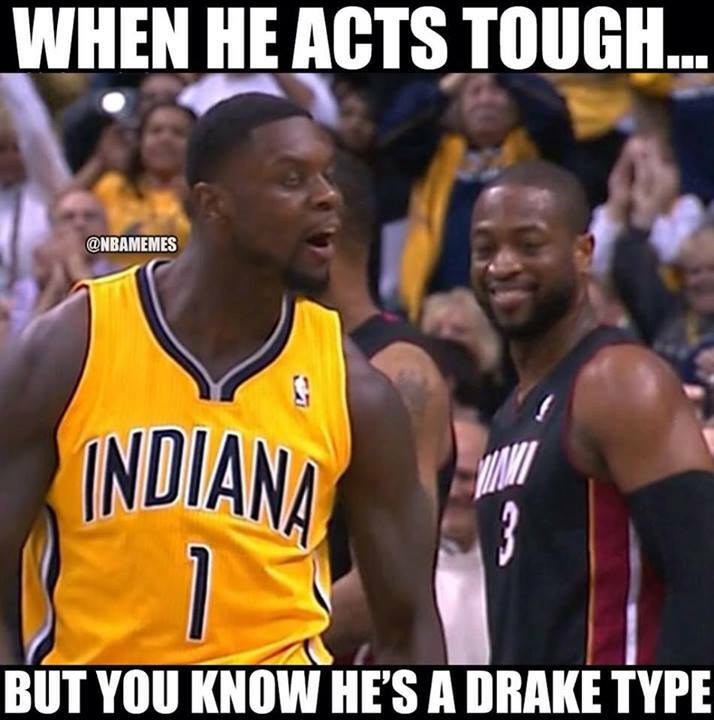 Lance Stephenson is amazing one minute but can destroy it for his team another. David West, like Stephenson, right now is in the “fake tough guy” spot. The moment a little bit of adversity and push backs begin and he folds. George Hill hasn’t shown up over the last couple of games. In a certain type of game, the Pacers are better than the Miami Heat. The problem for them is the inability to adjust and change. The Miami Heat have the tools and the head coach who recognizes when things need a switch, which also sparks something in James and Wade. The Pacers? When things don’t go their way, it seems like everyone, from their head coach to their biggest star, slightly lose composure, and then the game.